The 1991 Honda CRX is a two-seat "sports" car. If it's just you and your best friend, there will be plenty of room for comfort, while the hatchback styling provides plenty of cargo room. The CRX will never be confused with a family car. People still driving this vehicle give it high marks for reliability, fuel economy, good looks, nice handling, plenty of cargo space, and being fun to drive. The flip side is that your insurance rates may increase, you might get more speeding tickets, and it is definitely not a family car. 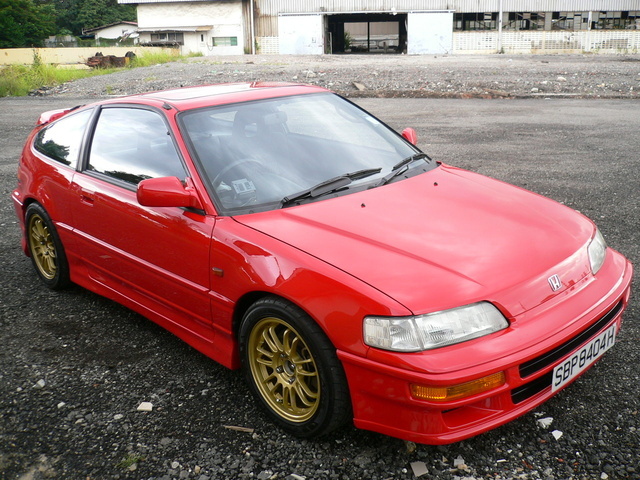 What's your take on the 1991 Honda Civic CRX? 1Guruhas1 HAD, Great! high fuel mileage as claimed being 51mpg highway and 40 city. But the sad part was when they added the VX model with variable valve timing and discontinued the high fuel mileage VX Civic Hatchback in 1995. Now instead we get more horsepower and no choice and no more 51mpg or more as is possible. Have you driven a 1991 Honda Civic CRX? 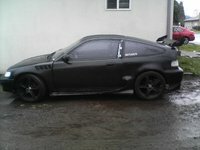 Looking For A Hood For My 91 CRX What Year Civic Hoods Will Work? Did 1991 Honda CRX HF's Come With Back Seats? Is it possible for this Honda to tow a small teardrop trailer? Is there a weight limit that the car can tow? Can I Install A Backseat Into My 1991 Honda CRX HF?